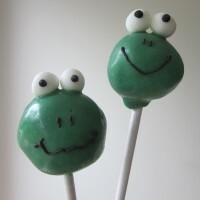 Box of 12 vanilla frog cake pops. These cake pops are made using vanilla cake crumbs and mixed with vanilla buttercream. 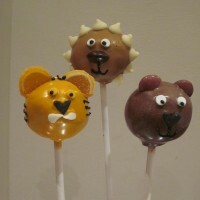 Box of 12 vanilla animal cake pops. Cake pops are made using vanilla cake crumbs, mixed with vanilla buttercream. 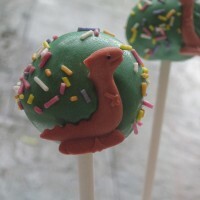 Box of 12 vanilla dinosaur cake pops. These are made using chocolate cake crumbs, mixed with chocolate buttercream. 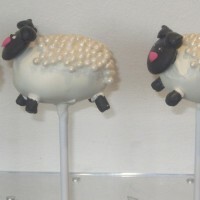 Box of 12 vanilla sheep cake pops. These are made using chocolate cake crumbs, mixed with chocolate buttercream. 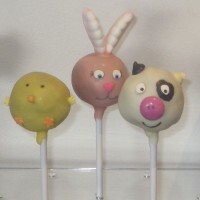 Box of 12 farm animal cake pops, made using chocolate cake crumbs and mixed with chocolate buttercream. 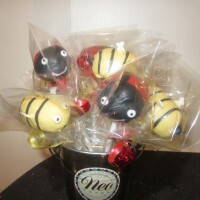 Box of 12 vanilla ladybird and bee cake pops, made using chocolate cake crumbs, mixed with chocolate buttercream.